Applications are now available and being accepted for the Mayor Frank G. Jackson Scholarship Program for the 2016-2017 school year. City of Cleveland employees, city employee dependents, and high school seniors graduating from the Cleveland Metropolitan School District; or involved with the City of Cleveland Department of Recreation are all welcome to apply. 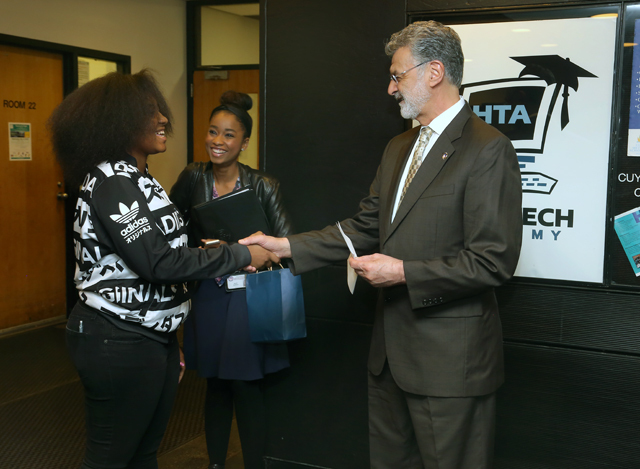 The Mayor Frank G. Jackson Scholarship Program was established to support City of Cleveland employees, their children and Cleveland Metropolitan School District (CMSD) students interested in pursuing a full-time college education.